Shacknews hits the GDC 2019 showroom floor to learn more about action hack-'n'-slash game Kunai from indepedent developer TurtleBlaze. Computers, ninjas, and machine guns: What do these things have in common? They're all part of the retro-inspired world of Kunai, the latest release from the folks at TurtleBlaze. Shacknews recently met up with Richard Lems, co-founder of TurtleBlaze, at GDC 2019 to learn more about Kunai, its robotic hero, and the fate of the world following the fall of humanity and the rise of machines. "Kunai is a world of robots where humanity was completely erased from the surface," Lems said. "You have a clan of robots that try to free themselves from a dictatorship of other robots. You control Tabby, which is a tablet robot with the soul of a ninja warrior." Sold. In addition to posessing the soul of a mighty ninja, Tabby can also make use of a number of different weapons including the game's namesake kunai, what appears to be a ninjato, plus various firearms like machine guns. Tabby also gains several powers throughout the course of the game, including the ability to pogo jump on enemies as well as grapple and swing around the environment using a rope dart. 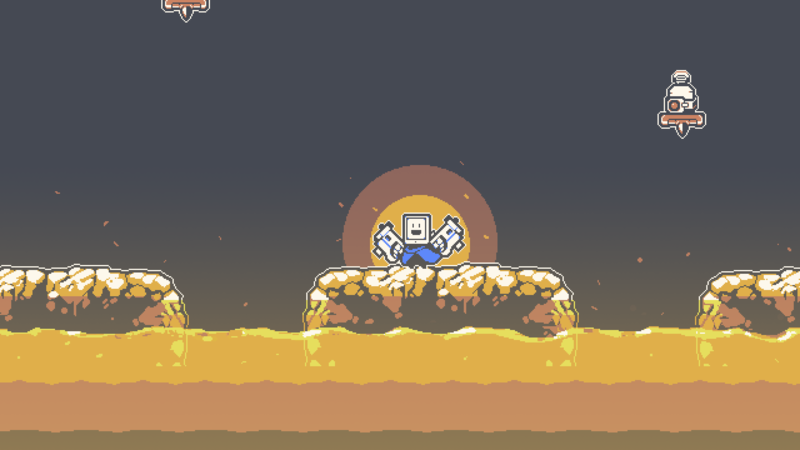 Tabby can even hover in the air briefly by firing guns downward, allowing speedrunners to make it through some levels without ever touching the ground. The Kunai demo on display at GDC 2019 is still something of an early prototype; the game doesn't have any sort of release date planned. With that said, the folks at TurtleBlaze intend to keep fans informed of progress made on the game, and updates on that progress can be found by following TurtleBlaze on Twitter. For more in-depth interviews, convention highlights, and gaming video coverage, be sure to check out both Shacknews and the GamberHubTV over on YouTube.